A mutual fund is an investment that allows all investors access a well-diversified portfolio of equities, bonds or other securities. Each investor has a share in the gain or loss of the fund. Units are issued and can be redeemed as needed. The fund’s Net Asset Value (NAV) is determined each day. They are the companies that receive your money and invest it in financial markets. It is an ideal tool for people who want to invest but fear the complexities of the markets or the arcane language experts use. 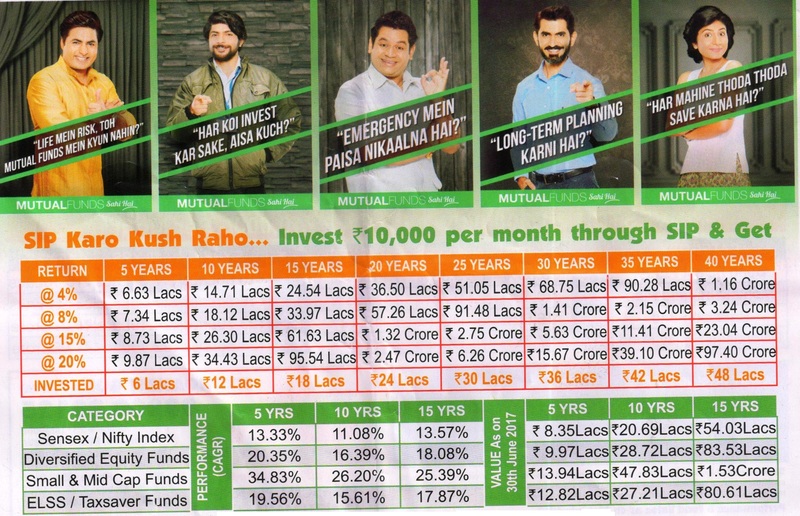 The beauty of mutual funds is that a person with an investible surplus of a few hundred rupees can invest and reap same returns as anyone else. Liquid funds are simply debt mutual funds that invest your money in very short-term market instruments such as treasury bills, government securities and call money that hold least amount of risk. These funds can invest in instruments up to a maturity of 91 days. The maturity is mostly much lower than that. A balanced fund combines a stock component, a bond component and sometimes a money market component in a single portfolio. Generally, these hybrid funds stick to a relatively fixed mix of stocks and bonds that reflects either a moderate, or higher equity, component, or conservative, or higher fixed-income, component orientation. An equity fund is a type of mutual fund or private investment fund, such as a hedge fund, that buys ownership in businesses (hence the term "equity") most often in the form of publicly traded common stock. Other times, the ownership is the form of so-called private equity, which is when the equity fund invests in privately held companies that aren't traded on the stock market.